IT Sligo were delighted to have been selected as the overall winners of this prestigious national competition, open to all higher education institutes and universities. 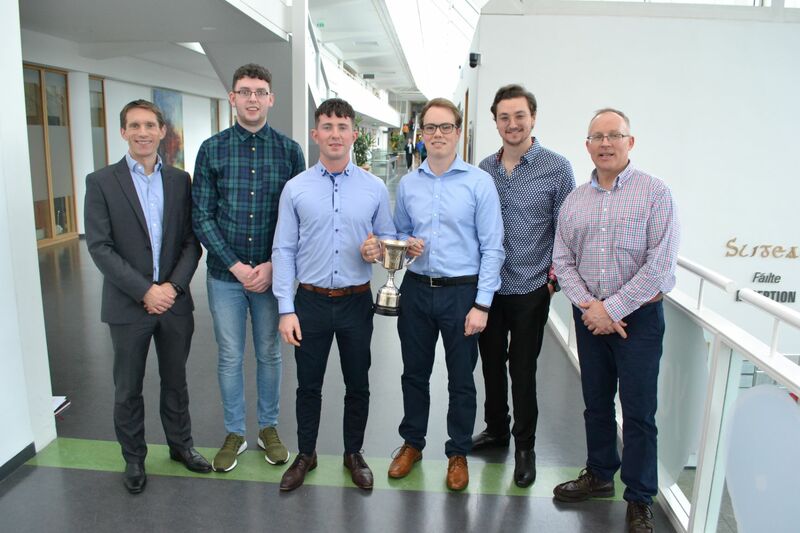 The annual event was attended by students from Institutes of Technology, Universities and colleges throughout Ireland and run by the CIOB in association with the Construction Industry Federation (CIF) and a number of sponsors, including key Construction Companies in Ireland. The Challenge consisted of the students being given a project brief relating to a complex real life construction project, and then they were asked to produce a bid submission and presentation relating to the project within a tight time frame. Along with receiving numerous prizes for the event the students will be invited to attend the Construction Manager of the Year award (CMYA) in Dublin as well as the CIOB proposing to sponsor the team to go forward to the Global Student challenge which was held in Toronto last year.